An art curation social network that allows users to interact with & derive inspo from images from the Archillect API. 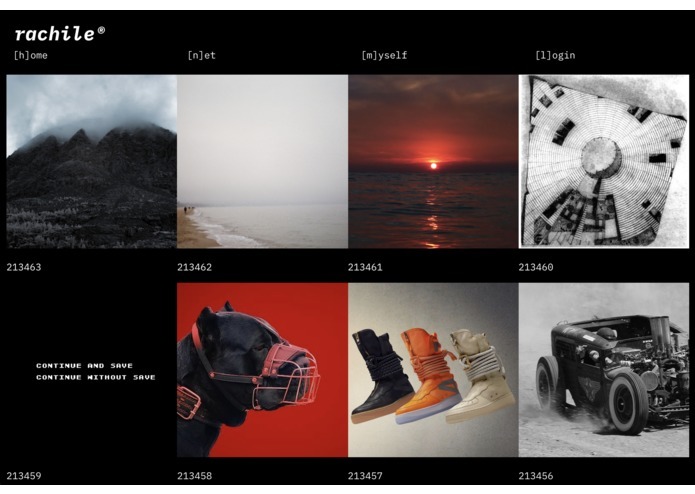 Sites like Pinterest, Archillect, Prisma, that allow users to create their own virtual aesthetic mood boards. Rachile is targeted toward the millennial futuristic aesthetic. Gets images from Archillect, [archive + intellect] -- an AI meant to find & share visuals over social media channels, and allows users to apply Deep Learning filters, as well as derive inspiration from continuously-loaded futuristic images as they scroll through. Users can interact with the images through liking and clicking on them to view a highly enlarged version. Archillect works w/ an algorithm that is fed a list of keywords. Instead of posting the search results directly, she wiki-walks between pages & posts, collecting data on various items: image, poster, recent interactions & visible audience of the post. 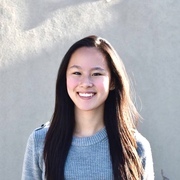 She mines data from each of them to map the social structure of these items and trains herself to discover related keywords in the process of learning. She adjusts threshold of keywords and picks them dynamically based on how much interaction her social media posts gain. This makes the decision-making process nearly human & gives her a primitive trend perception. As most of our team members are fairly new to what they do (web development and ML), the process of figuring out how to incorporate each of the elements/features, including infinite scrolling and getting the images derived from Archillect to display correctly in an aesthetically-pleasing way, proved to be a challenge. Implementing the feature for users to apply the Deep Learning filters was also technically challenging. We learned a LOT and managed to produce a functioning and beautiful product! Additional features, including commenting for users and sharing their feeds/curated images. I worked on Preact.js (a more efficient version of React for our type of project) for the front-end of the web application, and integrated the Archillect API. I also worked on linking the web app to the flask server running the ML algorithm, and using the outputs of the ConvNet to help users generate their own images. I learnt a lot about async programming!